I love jewelry. 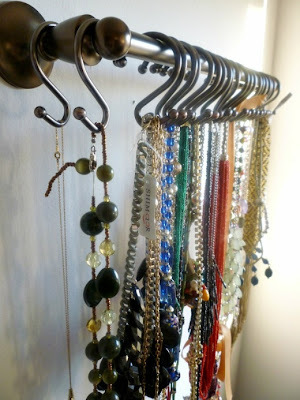 Real jewelry, costume jewelry, hand-made jewelry – I love it all. 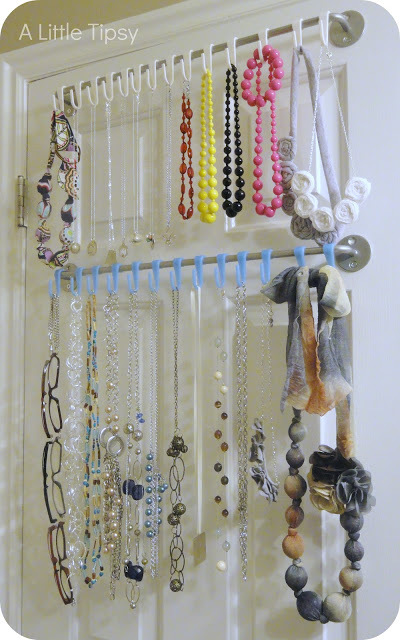 So you can only imagine what a disaster my jewelry station is. 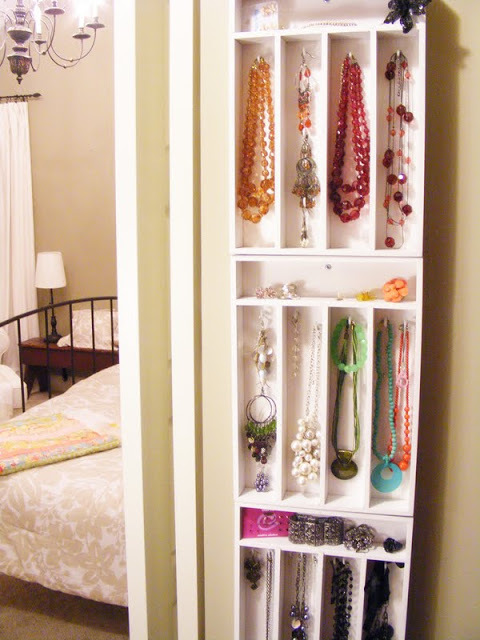 Don’t get me wrong - I have attempted to clean it up a bit with store bought organizers, but even those can only hold so much. So I’m at a point now where the only solution I see is to get crafty with it. I’m no Martha Stewart, but I have found some easy solutions that I think I can handle – and if I can handle it, trust me you can too. 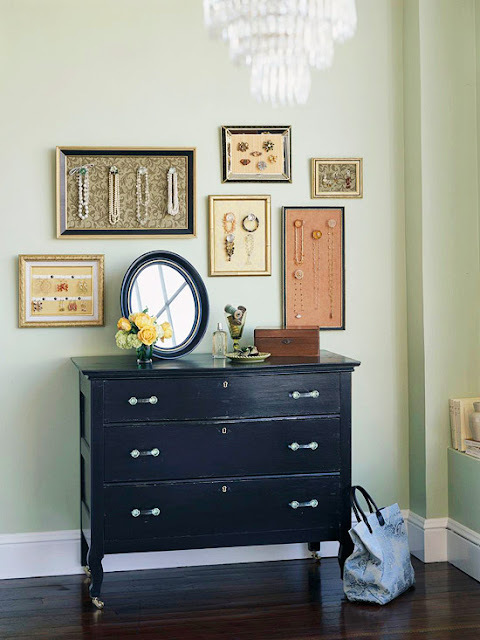 Using left-over frames with burlap or fabric can create a gorgeous focus point. 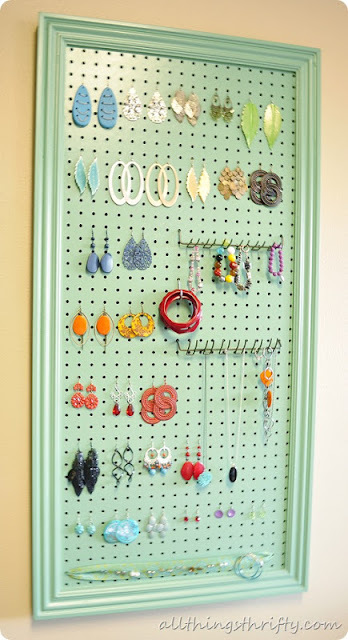 A pegboard is a great way to easily fit a large quantity of jewelry in once space, and also easily change the set-up as needed. 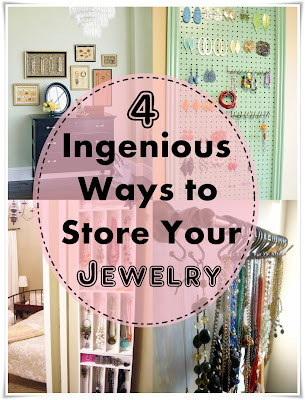 Who knew that kitchen trays like ice-cube and cutlery trays could be a cheap/easy way to store jewelry?! Using towel rods and shower hooks can be a fast and easy way to place and switch jewelry. 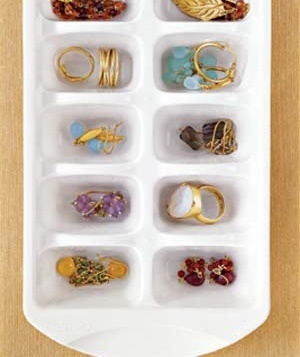 How do you store your jewelry? These are some great ideas! 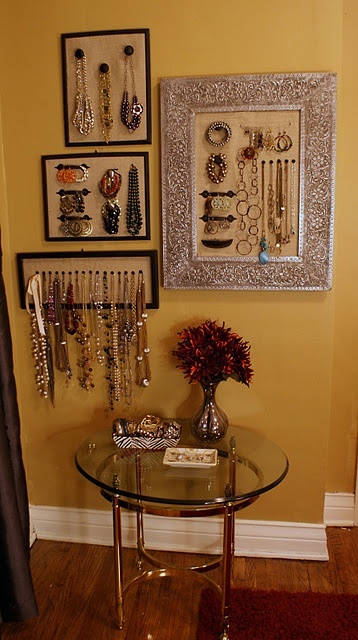 I love the peg board and hanging them. I am just afraid someone would come in and steal them all. People are so crazy these days. I love the idea a lot!! Thanks for the ideas! !